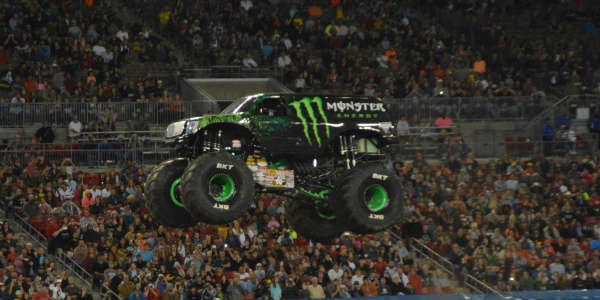 Monster Jam is coming to the Orlando Citrus Bowl on January 23, but you can meet some of the drivers and their trucks for free around Central Florida on Thursday, January 21. Approximately 12 feet tall and about 12 feet wide, Monster Jam trucks are custom-designed machines that sit atop 66-inch-tall tires and weigh a minimum of 10,000 pounds. Monster Jam trucks can fly up to 125 to 130 feet (a distance greater than 14 cars side by side) and up to 35 feet in the air, so it takes courage and skill to handle these motorized beasts. Biketoberfest once again takes over Daytona Beach this weekend, and one of the highlights will be a concert by hard rock legend Lita Ford. Ford headlines a free concert at Bruce Rossmeyer’s Daytona & New Smyrna Harley-Davidson dealership on Saturday, October 20, 2012. 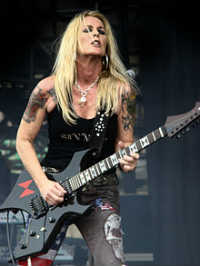 Lita Ford first came to fame as the lead guitarist for The Runaways in the late-70’s, before embarking on a successful solo career in the 80’s. Among her many hits are songs like “Kiss Me Deadly,” “Hungry,” and “Close My Eyes Forever,” a duet with Ozzy Osbourne. Bruce Rossmeyer is located at 1637 N Hwy US1 in Ormond Beach. Call 386-671-7100 or 866-642-3464 for info. Biketoberfest takes place at various venues all across the Daytona Beach area from October 18 – 21, 2012. For official event and visitor information, visit biketoberfest.org. 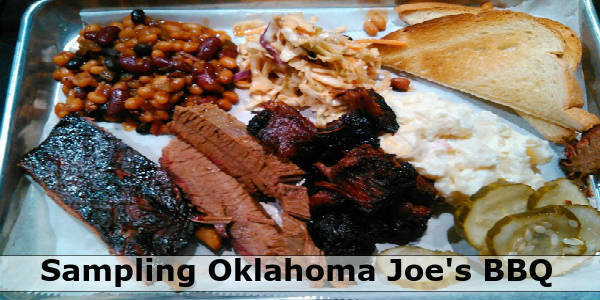 Last Saturday (July 14), a new attraction opened in Daytona Beach. A company called Zoom Air has opened a “treetop adventure park” in Tuscawilla Park. Though Tropical Storm Debby caused some delays in construction, the company plans to have two-thirds of the course available, with the remainder completed by early August. Once the entire course is completed, visitors at least 54″ tall will enjoy 52 games up in the trees, including 12 zip lines. The course is designed to graduate in height and challenge. 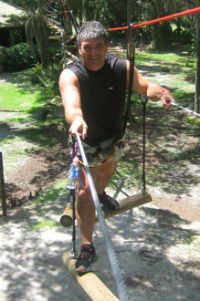 The longest zip line will be around 500 feet, and the highest point on the course at around 55 feet. Tuscawilla Park is located at Nova Road and International Speedway. Zoom Air already operates another location at the Central Florida Zoo in Sanford. Zoom Air Daytona Beach has special opening pricing through September 30, 2012. Rates start at $20.95. They also have package pricing for families and annual passes good for one or both Central Florida locations. For more information, visit zoomair.us. Whether you want a beach getaway or just a daytrip from everything there is to do in Orlando Daytona Beach is a great choice. Right now many of the city’s hotels are offering great deals – as low as $79 a night for stays from now through May 20.
the Ormond Beach Celtic Music Festival (May 19-20). To get more information or to see the deals being offered, visit www.CelebrateSunshine.com.